My mother in law is an incredible cook. She raised three boys (oy! ), was an actress, now a psychologist. And incredible cook. And I have yet to see her cook from a recipe. 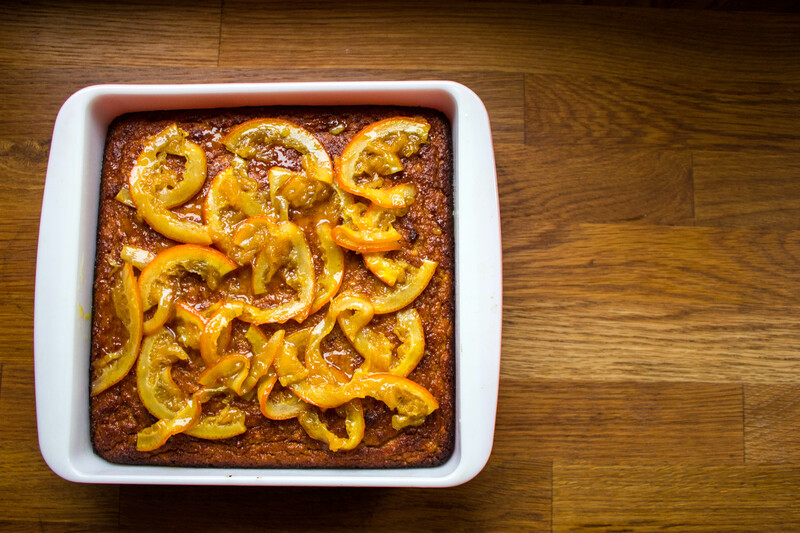 Over the holidays, I left one day to run a few errands, came home and saw this gorgeous cake waiting on the kitchen counter, all a glisten with the scent of warm, syrupy oranges unraveling in every room. When we sliced it up after dinner, the room softened into a silence, as everyone’s facial expression moved towards contemplative content. I kid you not, it’s that good. Before she left to return back to Australia, bestowing a lot of hugs and kisses, I pried the details of this cake from her (I did not have to pry the hugs and kisses). What makes this cake so truly magnificent, apart from the most obvious of reasons, is the fact that it is concocted of 6 simple ingredients. Given the right season, you will most likely not even need a trip to the store to pull it together. 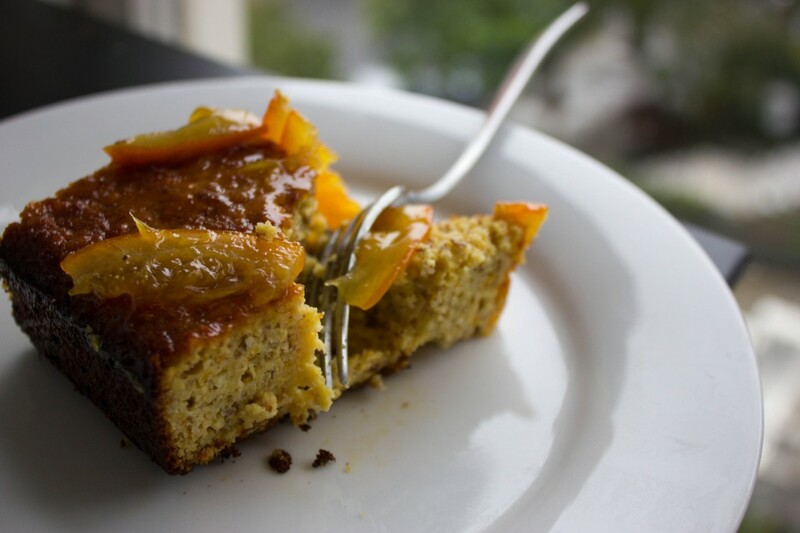 Glistening, pungent navel oranges lend all of the moisture and flavor to this cake, while the almonds provide the substance. The protein and healthy fats found in the almond meal also make it perfect for breakfast the next morning. We wish you luck in attempting to reserve a piece though. Preheat the oven to 350. Put both oranges in a pot with enough water to cover, bring to a boil for 40 minutes. Then drain and let cool until you can handle them. 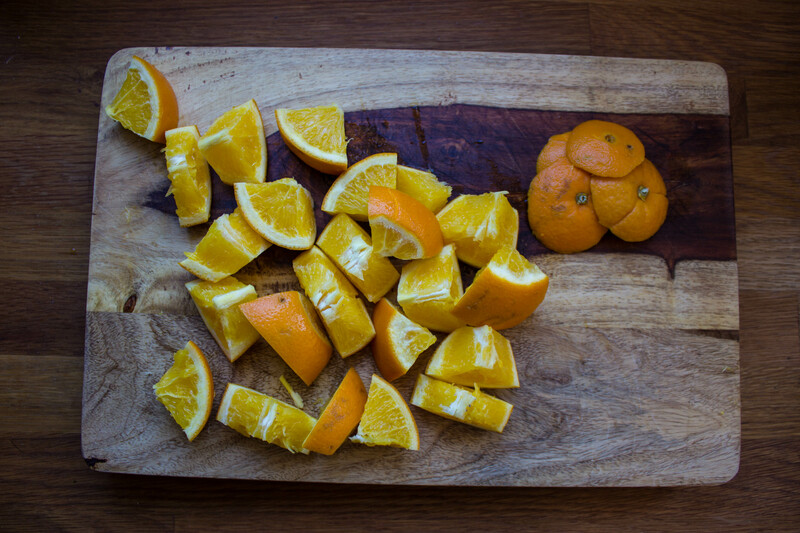 Chop off either end and discard, then chop the boiled oranges into quarters. Remove the seed and discard. 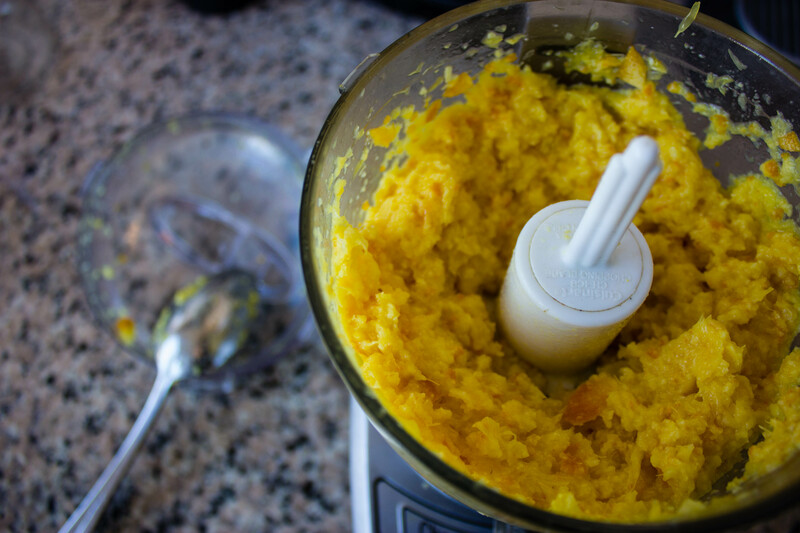 Put the orange quarters in a blender or food processor and process until smooth. In a medium bowl, beat the eggs and sugar for a minute or until thick. Then add the processed orange, almond meal and baking powder until well mixed. Pour into a greased pan. I used a square 9×9 here. Bake for 55 minutes to 1 hour. Put all of the ingredients in a sauce pan and bring to a boil. Promptly bring down to a simmer, letting the sauce get thick and sweet, about 20 minutes. If the water evaporates too quickly before the oranges cook, add a bit more water and sugar and cook down. 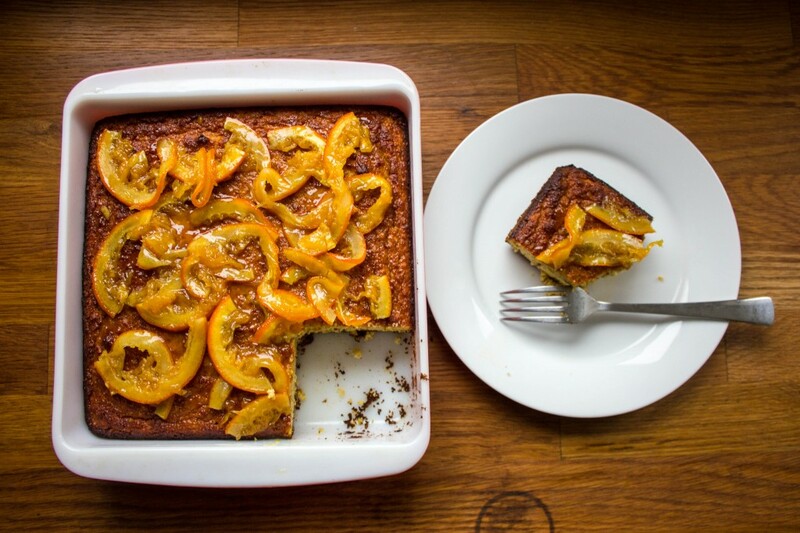 Cheat: You can skip the glaze and easily dust powdered sugar over the cooled cake. 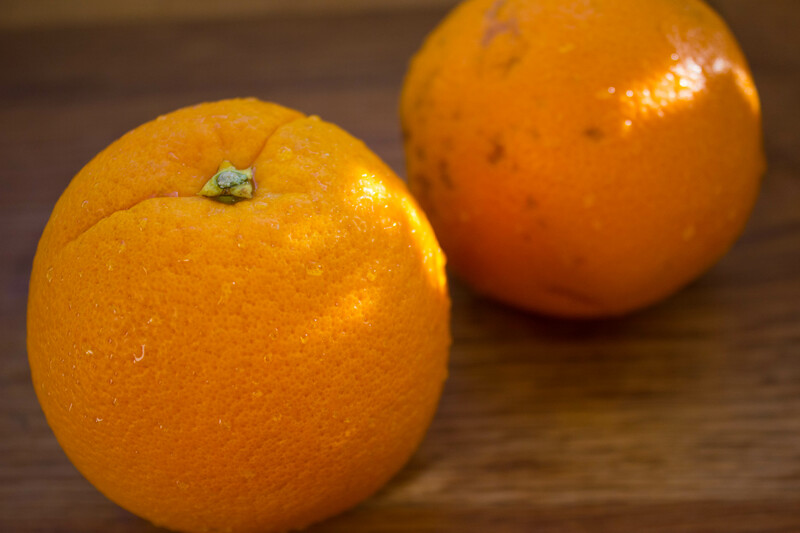 Have you ever tried it with clementines instead of oranges?